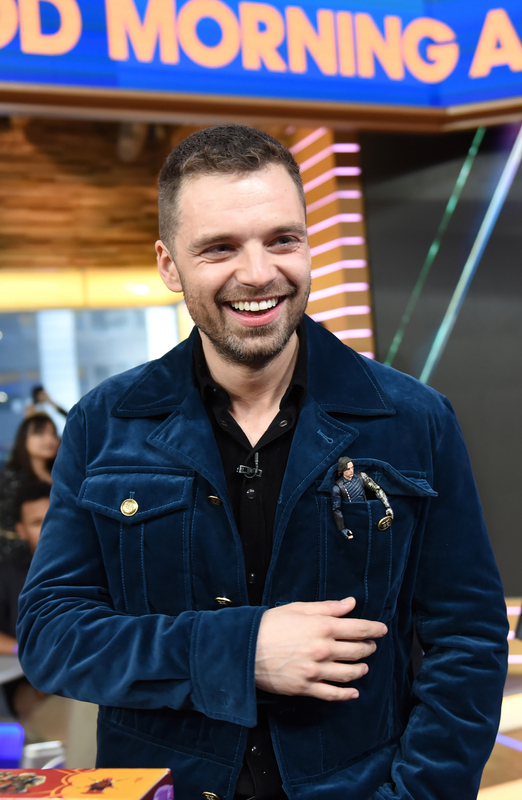 Watch pint-sized interviewers grill Avengers: Infinity War stars Anthony Mackie and Sebastian Stan! Screenrant.com — Avengers: Infinity War star Sebastian Stan appeared on ABC’s Good Morning America, and posted a photo from the show’s set of himself posing with a toy replica of the Infinity Gauntlet. The appearance was to promote Avengers: Infinity War and a new children’s charity initiative called Marvel: Universe Unites. Stan, who plays Bucky Barnes aka. the Winter Soldier, posted a video on Instagram of him flexing a toy version of the Infinity Gauntlet – one of the key artifacts wielded by the cosmic villain Thanos in Infinity War. Stan appeared on GMA alongside Paul Bettany, who plays The Vision (and formerly voiced Tony Stark’s AI assistant J.A.R.V.I.S. ), and Karen Gillan, the reformed villain Nebula from the Guardians of the Galaxy movies (who will also be appearing in Infinity War). The upcoming Infinity War will be the first of a two-part movie that will end this current generation of Marvel movies and transition into a new phase with emphasis on new or currently supporting characters. Seldom is anything done in the public sphere by a Marvel Cinematic Universe actor without some sort of subtext or cryptic hinting. Marvel is notoriously tight-lipped when it comes to future movie events and the trajectory of the MCU storyline. It is unlikely, then, that the post by Stan on the show was merely a fun bit of happenstance. It is possible, though, that we will have to wait past Infinity War for the meaning of the act, as the currently untitled fourth Avengers movie will continue the story from May’s Avengers romp. If you guys remember back in September of last year we were treated some paparazzi candids of Sebastian during a mysterious photoshoot in Spain which we later figured out was for an upcoming campaign for Hugo Boss. Well, the wait is officially over! Check out these supremely handsome photos of Sebastian wearing the 2018 collection of Hugo Boss for their “Summer of Ease” campaign including the promotional video spot below. For Spring / Summer 2018, BOSS presents a new digital campaign starring Hollywood actor Sebastian Stan, taking the Spring / Summer 2018 collection, “Summer of Ease”, into new coastal surroundings. Wearing the new designs, Sebastian spends a relaxed summer by the sea, exploring a new easy mood for BOSS. The new campaign presents video content and imagery following Sebastian through an easy relaxed season. He represents the modern, driven man with a fast-paced lifestyle, whose downtime is now as important to him as his successful career. 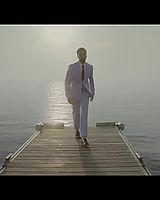 The dream-like video is set against the dramatic coastal backdrops and elegant architecture, moving from early summer by the dock through the season’s with the wardrobe to match — characterized by a more relaxed approach to BOSS sartorialism than ever before, perfectly balancing ease with the elegance the house is known for. Sebastian wears refreshed outerwear such as sporty anoraks and loose-cut trench coats, and softened BOSS tailoring including relaxed double-breasted shapes. Womenswear follows suit with the nautical details, airy dresses and lightweight tailoring, ready for summer to begin.